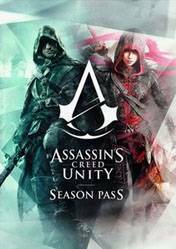 Although not yet has unveiled the additional content that will receive the new title in the franchise Assassins Creed, Assassins Creed Unity, seeing in previous installments the amount of extra content that has been launched, including independent missions, weapons, bonus packs and etc., it appears that this new release in the series will get a lot of new downloadable material. As in previous titles, we have available the Season Pass, which we will access to all of this material without having to go buying it as it's released. Unity promises a revolutionary change in the franchise, thanks to a natural and sublime visuals effects, all powered by a new graphics engine, allowing us to see the city of Paris in a turbulent and dangerous time, during the French Revolution. As always, our murderer will loaded with all kinds of gadgets, weapons and unique fighting moves, we will face conspiracy hidden behind the revolution and uncover the secrets hidden in an elaborate story.